I have done many simple, solitary ceremonies here over the past few years, and always managed to have the space to myself until the moment I finish when other people appear – just as they did straight after I took this photo. However I have also noticed no one ever stays for long, especially not within the circle itself; the guardian seems to remove anyone lingering fairly promptly! Yesterday I didn’t do anything special while there, since I wasn’t alone and hadn’t planned the visit in advance, but I explored the experience in meditation later. Strangely I didn’t feel the need to renew any promises, ask for anything, or make any particular connections, which I could have done had I felt anything was missing – yet I felt very much at peace. It was like by going somewhere that was part of me and I was a part of, and brought me back to who I am. Even more than that, I felt energised, and I realised that, to me, Nine Ladies is a place of power that refreshes and restores. To connect back to last week’s post, it made me think of how R Ogilvie Crombie spent a period every day connecting with sources of power, and thus was always ready for out of body experiences and communicating with elementals or guardian spirits at any time of day or night. Personally I have noticed how I can feel tired after a journey, or am sometimes too tired to journey, and realised that this type of energising is probably what I need at times, as I received yesterday and have received from various other ancient sites or from oak trees I have visited. However becoming aware means that it is now part of my consciousness. I need to re-energise myself, be at one with nature, and connect with all the elements on a regular basis. 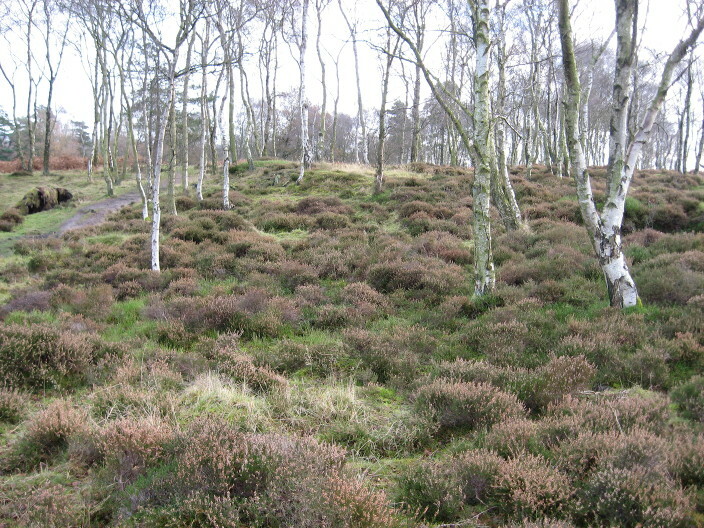 Birch and Heather woodland, Stanton Moor, Derbyshire. My garden simply isn’t enough; I also need to find places I can visit regularly to raise my energy so that I can learn and understand and feel, or find an alternative way of raising my own energy – because after we left the circle, we passed through some of my favourite silver birch woodland, and I could feel and see energies in a way I have rarely experienced except when journeying. As if every blade were alive and shimmering, seeing the growth, seeing the aura of each tree, sensing elementals living there, catching a brief glimpse of a gnome by a tree. Truly magical. 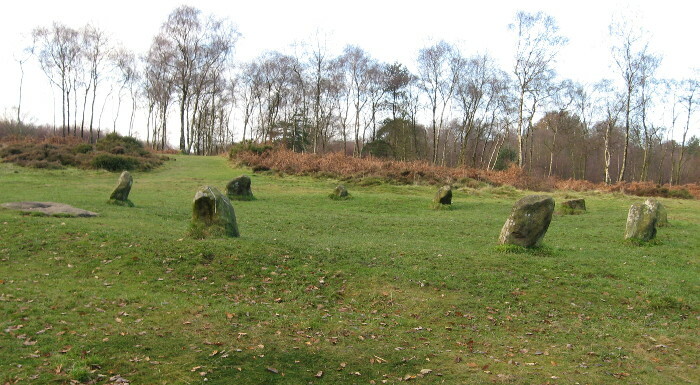 This entry was posted in Being Connected, Trees and tagged connections, elemental, energies, fairies, gnome, guardian, journey, nine ladies, ogilvie crombie, silver birch, spirit, stone circle, trees, woodland. Bookmark the permalink. ← Can Sickness Be Helpful?